Over 200 people marched to the Port of Oakland to protest Israeli occupation of Palestine on Oct. 26. Over 200 people marched to the Port of Oakland to protest Israeli occupation of Palestine on Oct. 26. This was the third "Block the Boat" action since this summer's assault on Gaza. The "Block the Boat" action sought to stop an Israeli ship from unloading cargo in Oakland. 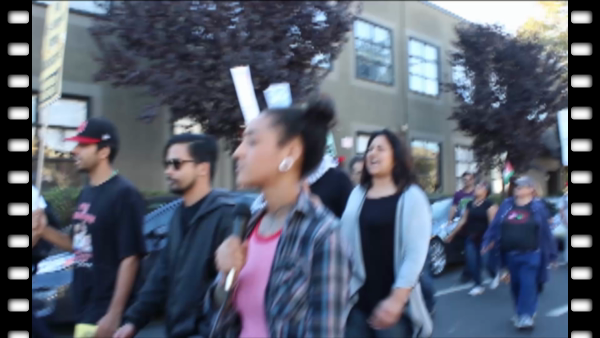 Demonstrators march to the Port of Oakland.